In one oblique reference to rules-of-the-road, it mentions/claims “Renters can ride … scooters on sidewalks”; I don’t have time to unpack yet another set of local ordinances but I don’t see how that’s possible ; see e.g. here for Phoenix and Tempe operating ordinances. Placeholder for the phx ordinances, i have to look them up; they’re in some weird Chapter. Something else to be aware of is that Sal not liking the scooter/bike shares, he hates the light rail “Light rail brings nothing but crime and blight to our neighborhoods“. 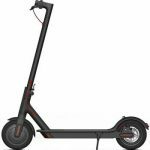 News item published 1/11/2019; As scooter accidents in metro Phoenix hit triple digits, another city regulates scooters. According to the article, it’s similar to Scottsdale’s, and as expected does not relate to any operational regulations, just (company) licensing, staging, parking rules and fines. Here’s a page at City of Tempe that lays out the documents for the companies.